These larger 8"x 8" WEBRIL WIPERS are just right for bigger jobs. The same high quality WEBRIL material but on a perforated roll. 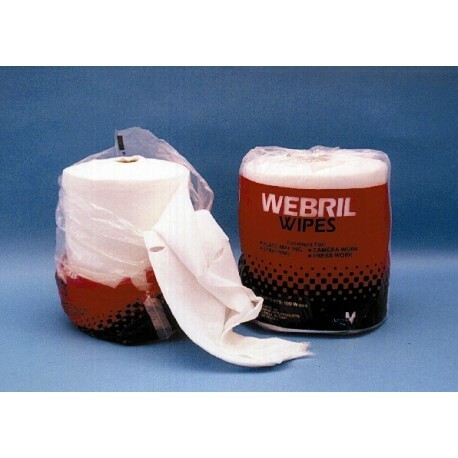 The handy WEBRIL RACKS makes these popular wipes convenient without taking up scarce shelf or table space. 100% cotton, nonwoven material. No binders or chemicals. Will not react or contaminate developing solutions or chemicals. Excellent wet strength, will not scratch. Highly absorbent. Can be used with wall or floor dispenser. 100 per roll. Webril nonwoven material is a unique, high quality fabric manufactured by Fiberweb for the Graphic Arts Industry. The exclusive felting process produces 100% pure cotton products. No binders or chemicals are present. 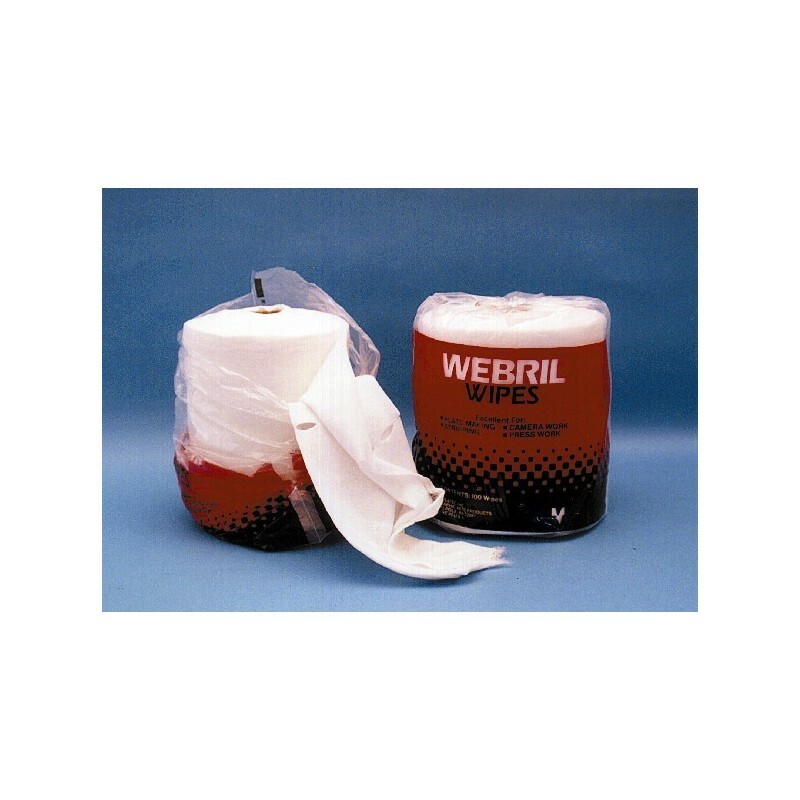 WEBRIL products will not react or contaminate developing solutions or chemicals commonly used in the printing industry. The interlocked fibers won't come apart, even when soaked in water or solvents. WEBRIL products will not scratch the most delicate coatings or surfaces. It is this process which insures the soft, pure and highly absorbent qualities for which WEBRIL WIPERS and pads have been known and trusted for many years.